First, I would like to thank The Butterfly Project and LaF Seoul for saving my 24/7 dehydrated skin. No joke! 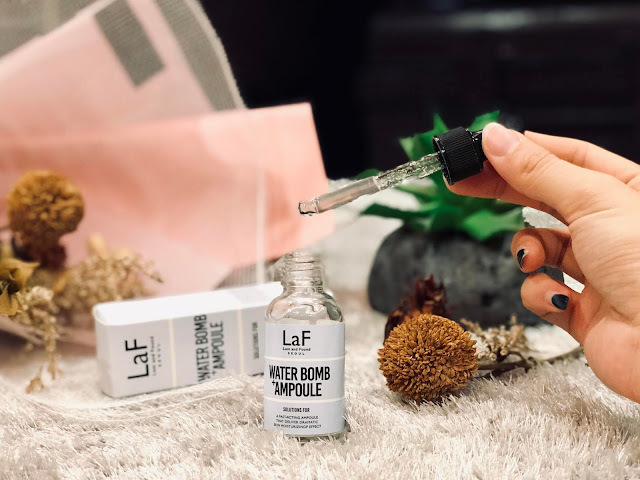 I received LaF Skin Solution Water Bomb Ampoule a month ago, started using it 3 times a week and slowly tapered to once a week. I'm always confused, what is the difference between essences, serums, and ampoule. They work the same, the only difference is the concentration of active ingredients. The ampoule is the potent and more concentrated versions of essence and serums. It's like the booster shot! Hence, use it on weekly basis or after a skin crisis. Some people may use it to revive and boost the skin before a big event. If you're planning to apply essences, serums, and ampoule on your skin. Remember the general rule of thumb, start from the mildest to thickest texture for better absorption. Impressive! The texture of the ampoule is thick and concentrated but what surprised me was I don't feel the thick ampoule layer on my face. It absorbs quickly, softens and moisturizes my skin...leaving the non-sticky surface. I repeat... Non-sticky. LaF stands for Lost and Found. When you LOST a problem is because you've found a SOLUTION. 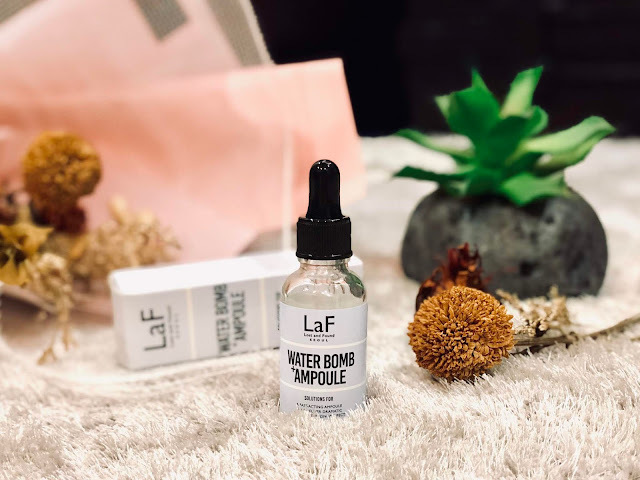 So...when you have any skin concerns, remember to look for LaF! haha! LaF Skin Solution Ampoule comes in 3 series: Water Bomb, Anti-Wrinkle and Whitening. A skincare ampoule is used for restoring the natural skin health with intensive care. 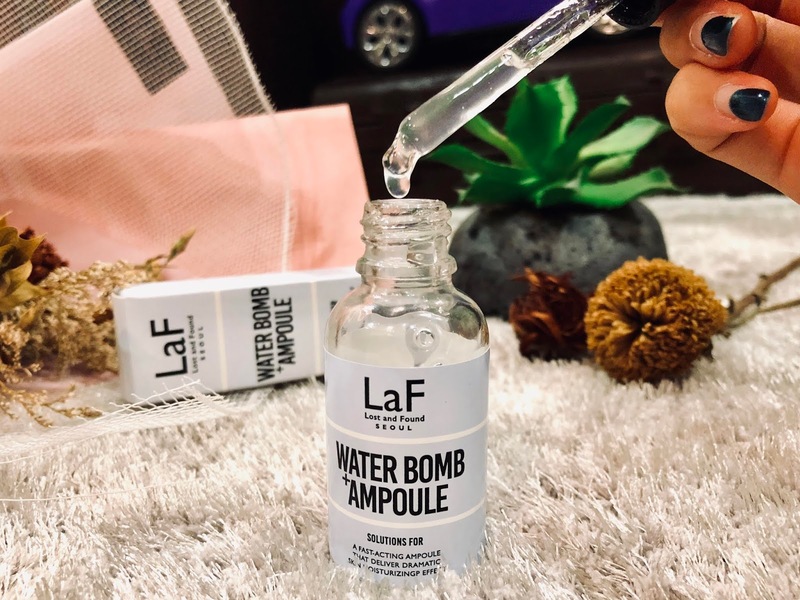 The 3 series of LaF Skin Solution Ampoule can be used alternatively to treat different skin problems or proceed with your own customized self-skincare to maintain your baby skin. The main ingredients are Aloe Barbadensis Leaf Water, Sodium Hyaluronate, Allantoin, and Betaine. 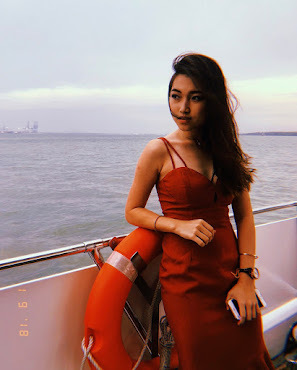 Aloe Barbadensis Leaf Water alleviates the sensitive skin caused by external factors whereas Sodium Hyaluronate keeps your skin hydrated and vitalized throughout the day. If you have sensitive and moderate-dry skin, LaF Skin Solution Water Bomb Ampoule will be able to save you! HIGHLY RECOMMENDED! One of my favorite skincare products. I usually drown my face with all the skincare products before I go to bed IF only I'm not feeling lazy. So there was one night I had the mood for a quick skin pampering session for myself... 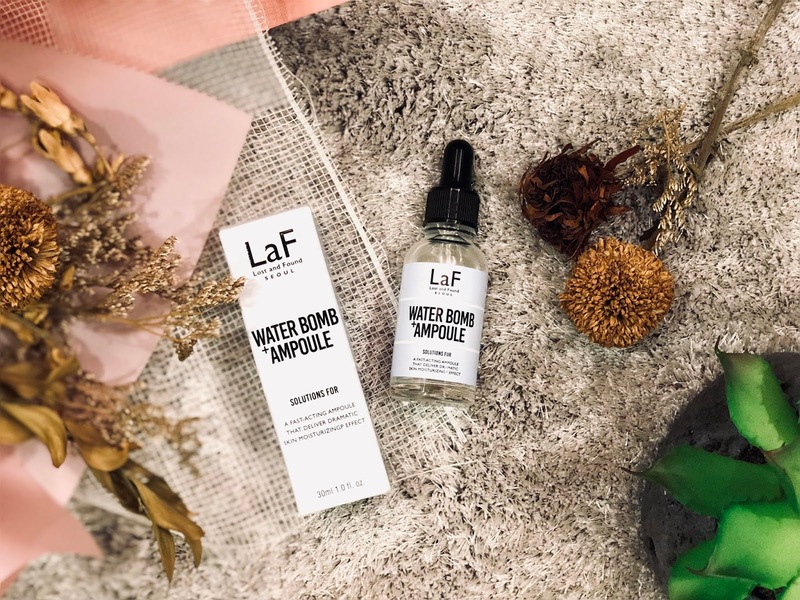 I used LaF Skin Solution Water Bomb Ampoule after cleansing and toning. As usual, I'll talk to aunty or kill my time in the study area. Aunty's first reaction when she sees me was "What skin care product are you using recently? Your skin looks dewy!" I was smiling on the inside. Start off with cleansing and toning. Then, follow by essence/serum/ampoule, moisturizer and sunscreen (morning). 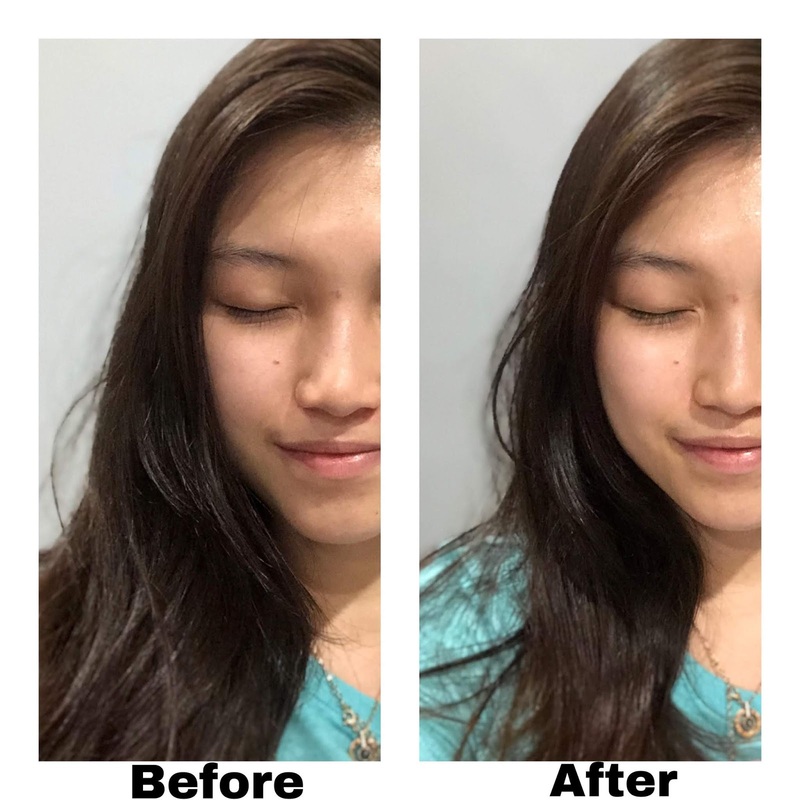 One drop each on the main area of your face (forehead, both cheeks, nose, and chin). Spread evenly with your fingers and pat it for full absorption. 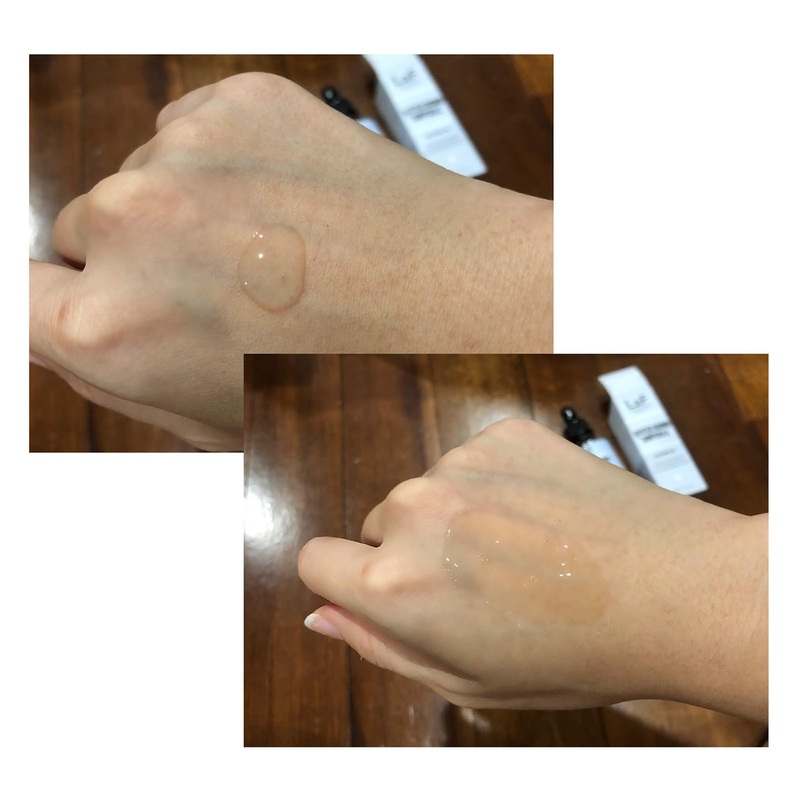 Clear, thick and concentrated but the feeling is light, very moisturizing. Head over to Guardian Malaysia online/offline store.